If the Lord can transform Peter with his failures, imagine what the Lord can do with you. Years ago as a boy, one of the greatest birthday gifts I ever received was a VAC-U-FORM [VID] by Mattel. You would heat up a piece of plastic to make it pliable, then quickly press that piece of plastic over a desired form while pushing down a lever which vacuumed all the air out around the object. When you were done, you had a piece of plastic formed into the image of an object. The warmer the plastic became, the more pliable and ready to be "VAC-U-FORMed" into its new shape it became. However, there was a point where the plastic became too hot and burned up and was unusable. Knowing how hot to get the plastic to make it pliable without ruining it was always the challenge. And we all, who with unveiled faces contemplate the Lord's glory, are being transformed into his image with ever-increasing glory, which comes from the Lord, who is the Spirit (2 Corinthians 3:18; cf. Romans 8:28-29). But, how do hardened hearts become pliable? How do old habits of self-will and old patterns of egotism and selfishness become open to change? The cross of Jesus changes everything about us if we let it. The cross becomes our template, our "desired form" over which our pliable will is stretched, and we are transformed (Philippians 2:5-11). Jesus' crucifixion is a triumph of love, obedience, and service over hate, selfishness, and evil. Through all of Jesus' work in Peter's life, the Lord had the transformation of the cross as the goal. To be a disciple, a true follower of Jesus, Peter had to be willing to see Jesus' example as his transformation's desired destination (Luke 9:23-26). Peter met the resurrected Lord one morning by the Sea of Galilee and was "cruciformed" by the Lord's grace into the servant leader he became. "Simon son of John, do you love me more than these?" (John 21:15). "Simon son of John, do you love me?" (John 21:16). "Simon son of John, do you love me?" (John 21:17). 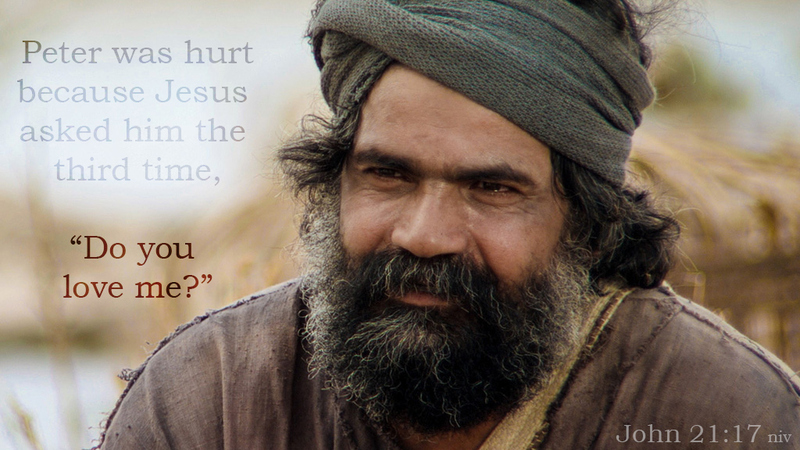 Peter was deeply pained because Jesus asked him this simple question... three times! Just as Peter had denied his Lord... three times! Peter had spent much of his time with Jesus over-promising and under-delivering. Despite Peter's promise that he would not abandon Jesus even if all of the other apostles did (Mark 14:29), Peter denied the Lord three times. Despite Peter's promise that he would lay down his life for his Lord (John 13:37), Peter denied ever knowing Jesus. Now, in the presence of all the other apostles, Jesus made Peter face his failure of faithfulness. Peter's brashness needed to be transformed into boldness to proclaim the good news of Jesus. His impetuousness needed to be converted to a passion for reaching the lost. His desire to be seen as important desperately needed to be changed into a heart that would sacrifice everything to follow Jesus and shepherd Jesus' followers. Peter needed to be "cruciformed"; he needed to be molded into the Lord's "desired form". "Feed my lambs" (John 21:15). 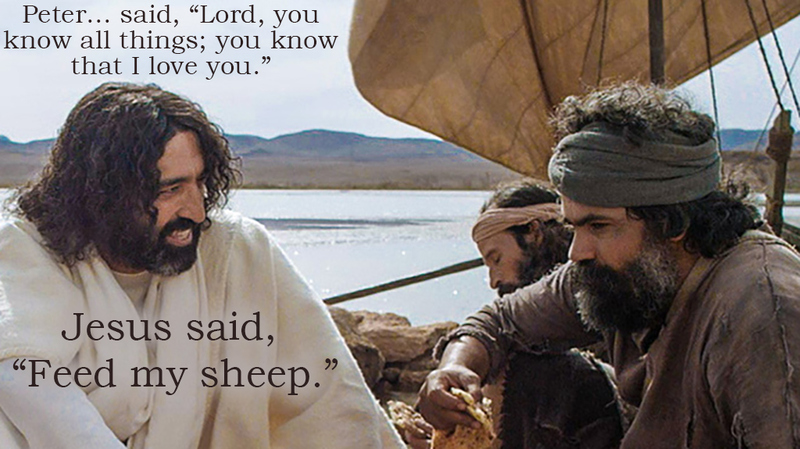 "Take care of my sheep" (John 21:16). "Feed my sheep" (John 21:17). 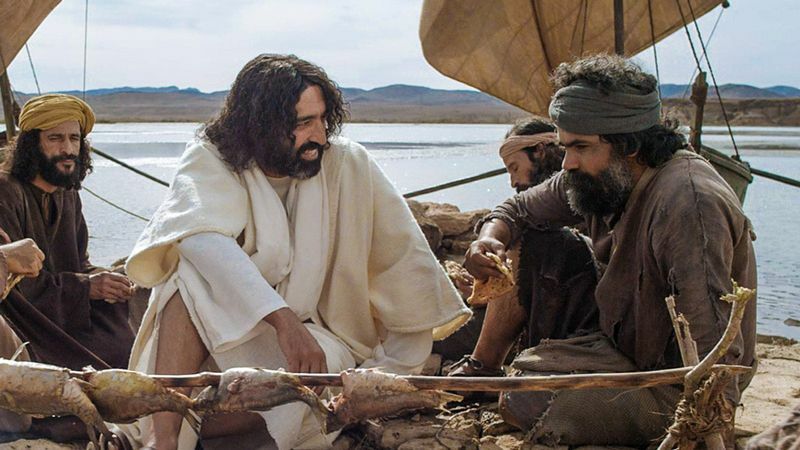 Jesus was not only affirming Peter's forgiveness and his ability to minister, but he was also calling Peter back to shepherd ("take care of" and "feed") Jesus' sheep! More than just forgiveness, Jesus was bringing restoration and renewal of purpose to Peter. If you are like most of us seeking to live for Jesus, you've had your meltdown moment over your own unfaithfulness to the Lord. You've been broken by your sin, shocked by your hypocrisy, frustrated by your weakness, or disappointed in your lukewarm faith. So let Peter's restoration by Jesus be your turning point. You see, the Lord didn't confront Peter to destroy him, but to make him pliable. Peter needed his will to be conformed to the cross — to be "cruciformed"! Once transformed, Peter's outlook was changed. All that he once failed to achieve by ego, the Lord accomplished through him by grace. If the Lord can transform Peter with all of his failures, imagine what he can do with you! Don't let your failures make you despondent, bitter, or fatalistic about your sin. Instead, ask the Holy Spirit to use your failures to make you pliable. See the cross for what it is — the place the Lord meets us in our most flawed moments, forgives us, and calls us back to be used as his "cruciformed" disciples. He himself [Jesus Christ] bore our sins in his body on the cross, so that we might die to sins and live for righteousness; by his wounds you have been healed. For you were like sheep going astray, but now you have returned to the Shepherd and Overseer of your souls (1 Peter 2:24-25). Here's a classic commercial for a VAC-U-FORM! Now when Jesus came into the district of Caesarea Philippi, he asked his disciples, "Who do people say that the Son of Man is?" And they said, "Some say John the Baptist, others say Elijah, and others Jeremiah or one of the prophets." Simon Peter replied, "You are the Christ, the Son of the living God." And Jesus answered him, "Blessed are you, Simon Bar-Jonah! For flesh and blood has not revealed this to you, but my Father who is in heaven. And I tell you, you are Peter, and on this rock I will build my church, and the gates of hell shall not prevail against it. I will give you the keys of the kingdom of heaven, and whatever you bind on earth shall be bound in heaven, and whatever you loose on earth shall be loosed in heaven." Then he strictly charged the disciples to tell no one that he was the Christ. And Peter took him aside and began to rebuke him, saying, "Far be it from you, Lord! This shall never happen to you." But he turned and said to Peter, "Get behind me, Satan! You are a hindrance to me. For you are not setting your mind on the things of God, but on the things of man." Emphasis added by bold text to highlight key focus. Jesus images used courtesy of Free Bible Images and The Lumo Project. "Cruciformed Disciple" by Phil Ware is licensed under a Creative Commons License. Heartlight encourages you to share this material with others in church bulletins, personal emails, and other non-commercial uses. Please see our Usage Guidelines for more information.